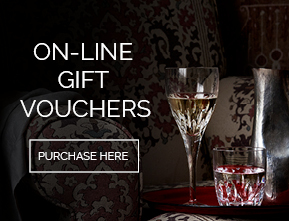 For online purchases made on www.waterfordcrystal.com.au, you will have the option to register for Assurance upon checkout. To register, check the box "Yes I would like to register for the Assurance Program" and your online purchase will be automatically registered. For further information please contact the Fiskars Australia Customer Service Department on (02) 8665 8200 or Toll Free 1300 852 022 or via email info.aust@fiskars.com. 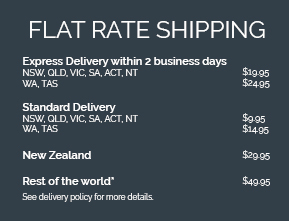 Fiskars Australia Pty Ltd, PO Box 888, Blacktown NSW 2148, Australia. Fiskars Australia collects your personal information (name, date of birth, address, contact numbers and email) when you provide to us in person for the purposes of registering on our VIP customer list or our Assurance program and for the purpose of sending you marketing communications including via email, sms or phone (unless you nominate to not receive).